Testing of a TAP3 module (e.g. your billing system) against the TD.57 validations rules is a difficult and error prone task since it requires a check point across more than 300 validations per TAP3 release. In addition, for each validation rule you must create several separate test case files, one for each possible context. For example, the node “charge” appears in 16 different places in the TAP3 grammar tree. So, if you need to test your TAP3 module against the validation rule "charge 20", you have to create 16 different TAP3 files. The TD.57 test case pack is a large collection (around 15000 files) of TAP3 test cases, fully exercising the TD.57 validation rules. Each file is specifically created to trigger a target validation rule. 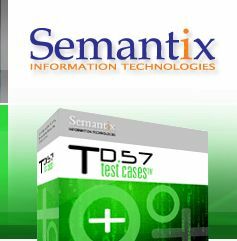 Time: By purchasing our TD.57 test case pack you can start your testing immediately. Otherwise, you need a lot of manpower to create all possible test cases for a TAP3 release. Also, your testers must be very familiar with the TAP3 protocol to create valid test cases. Accuracy: Our test case files have been thoroughly tested and each one triggers the correct validation rule. Creating test files by yourself requires an extra step to validate that each file triggers the correct validation rule. No need to buy a TAP3 tool: You do not need to purchase an additional tool for creating and editing TAP3 files. Rapid and efficient deployment of a new billing system necessitates a very large number of test cases, literally thousands. Templates help a lot in building them fast, but with the amount of time and tedious work that is involved, almost always the new system goes live with far fewer tests than what is necessary. As you can see, the filename is quite a long one. Make sure that if you test under Windows you use a folder very near the top of a hard drive (e.g. c:\Tests) otherwise the Windows limit of maximal length of path and filename will stop you from using the test files (the total length of path and filename cannot exceed 256 characters under Microsoft operating systems). You can download a small sample of the test cases, showing off around 50 of the thousands available.